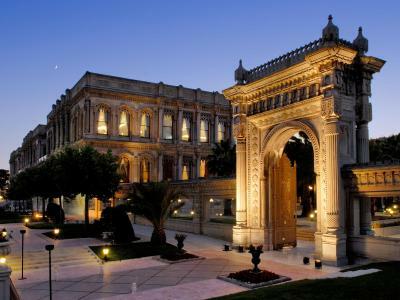 Lock in a great price for Çırağan Palace Kempinski Istanbul – rated 9.1 by recent guests! 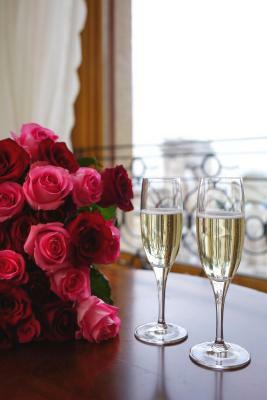 The hotel is a luxurious one, big room, very good service, location is one of the best if you like the sea view. Loved the property due to the way it is placed on the Bosphorus, the views from my room ( in spite being partial view of Bosphorus ) were spectacular and even better from the gardens and restaurant. 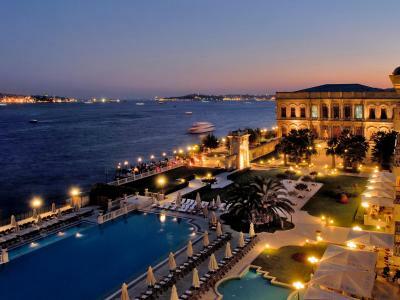 The hotel gives a feel of luxury and charm that you can only find in Istanbul. It is a bit far from the old town and the grand Bazzar, but the hotel makes you feel you are in an oasis far from the noise and hussel of the old city . The beds were very comfortable. In the evening it was even more charming to city the Asian side of the city with all the spectacular lights. I do recommend this hotel, for the price. The concierge was extremely helpful in finding us great restaurants to have dinner, and helped us get different shipping prices for items that we had bought that were too fragile to carry home. Staff were very friendly.. the view just great .. it's simply like being in a real palace not just hotel..
this hotel is very hard to fault since just about everything is of the highest standard. Staff remember your name, the spa is very nice and there’s a good choice of restaurants, plus a free soft drink mini bar. Everything was wonderful. One of the nicest hotels I stayed in my life. 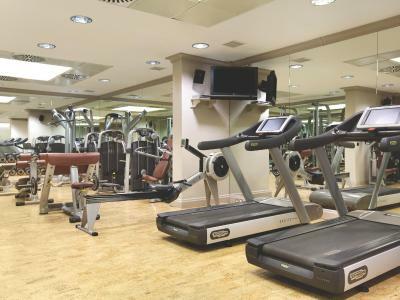 Great location, great facilities, Nice rooms and great staff. 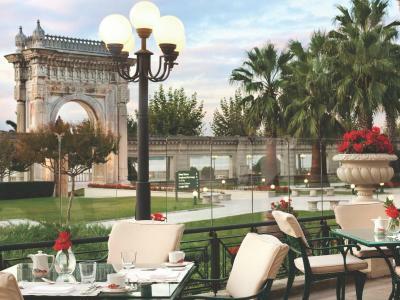 Çırağan Palace Kempinski Istanbul This rating is a reflection of how the property compares to the industry standard when it comes to price, facilities and services available. It's based on a self-evaluation by the property. Use this rating to help choose your stay! 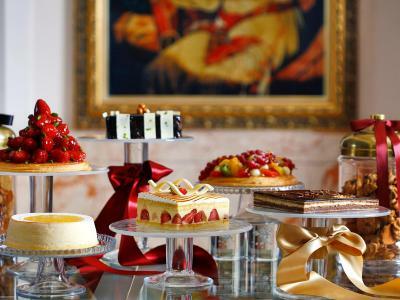 When would you like to stay at Çırağan Palace Kempinski Istanbul? This room overlooks the hotel's grand entrance, Ciragan Street, which is located behind the hotel. You will find a mini-bar filled with complimentary soft drinks. Please note that these rooms can host a maximum of two guests and extra bed is not available in this room type. Spacious room with a balcony featuring partial view of Bosphorus and Asian Side. There is a seating area, desk and a bathroom in this room. You will find a mini-bar filled with complimentary soft drinks. 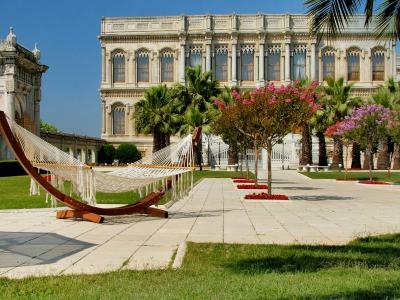 Includes a large balcony featuring panoramic views of the garden, the palace, and the Bosphorus. There is also a working desk and a shower. You will find a mini-bar filled with complimentary soft drinks. Spacious suite overlooking the courtyard. You will find a mini-bar filled with complimentary soft drinks. 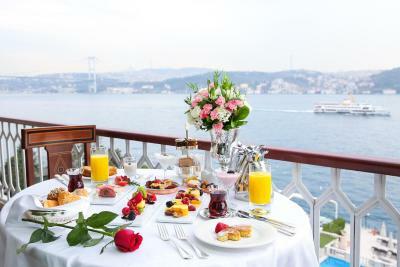 This room offers a spacious balcony with 90 degree Bosphorus view. You will find a mini-bar filled with complimentary soft drinks. A spacious duplex suite overlooking the stunning Bosphorus view. The modern bathroom features a bath, shower, hairdryer and free toiletries. You will find a mini-bar filled with complimentary soft drinks. Located in the hotel building, this one-bedroom suite comes with scenic view of the Bosphorus. Sliding doors separate the bedroom from the living room. You will find a mini-bar filled with complimentary soft drinks. 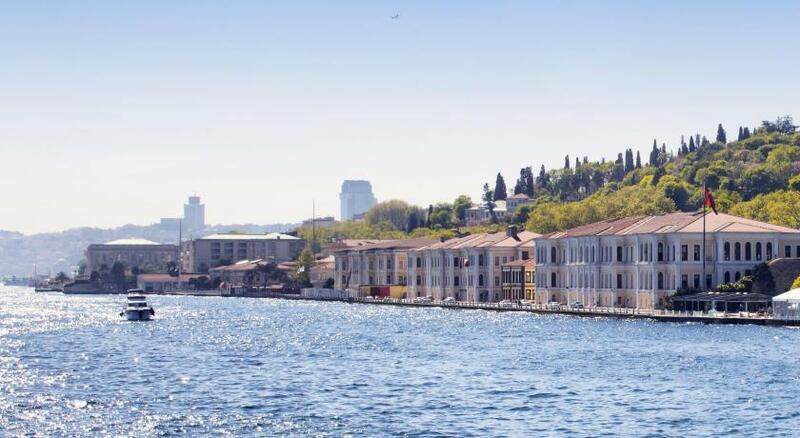 Located in the hotel building, this studio features scenic views of the Bosphorus and the historical Ottoman palace. Guests can admire the views from the studio's balcony. You will find a mini-bar filled with complimentary soft drinks. Located in the historical palace, this 499 ft² maisonette-style suite comes with the views of famous Yildiz Park. You will find a mini-bar filled with complimentary soft drinks. - Round trip airport transfer from Istanbul Airport with luxury sedan car. - Rate excludes 8% VAT. Please note that reservation needs to be done in advance for the package details. 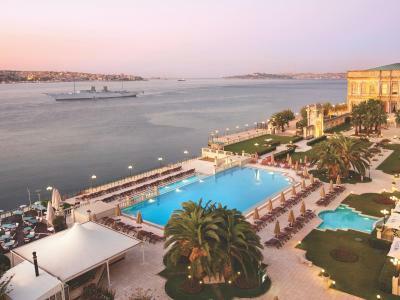 Located on the shores of the magnificent Bosphorus, overlooking the ancient city of İstanbul, Çırağan Palace Kempinski İstanbul offers the ultimate luxury and glamour of a genuine Ottoman Palace. 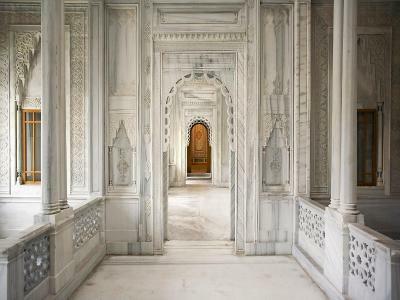 As the only Ottoman Imperial Palace and Hotel on the Bosphorus, its splendid style, superb location fascinating views and resort ambience, which includes a spacious green garden with palm trees, ensure a wonderful and unforgettable stay in this enchanting and mystical city where East meets West, Europe meets Asia and classic meets modern. 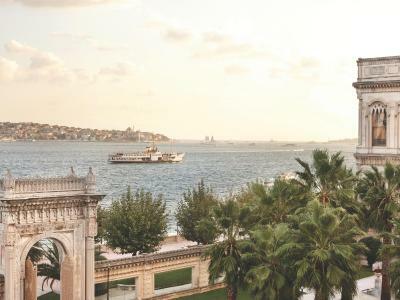 Located near İstanbul’s business district in the heart of the city center, close Beşiktaş as well as its historic and cultural sites, Çırağan Palace Kempinski İstanbul is the only hotel in Turkey accessible in three ways. 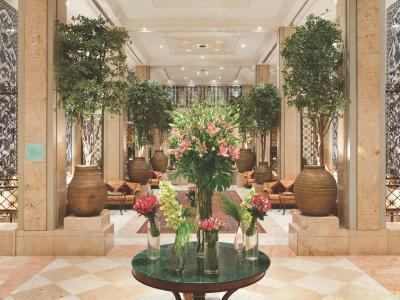 This five-star luxury hotel reflects a harmonious blend of the old and new. 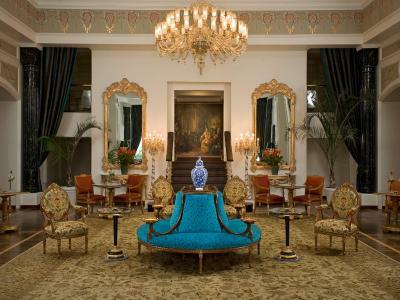 Its 313 rooms, including 20 suites in the hotel section and 11 suites in the historical palace section, provide every modern convenience for both the leisure and business travelers. In company with multilingual Guest Relation team, whether for business or pleasure, everything is at your convenience during your stay. 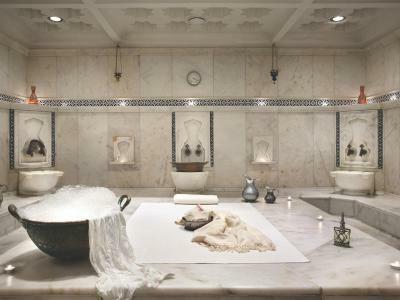 House Rules Çırağan Palace Kempinski Istanbul takes special requests – add in the next step! 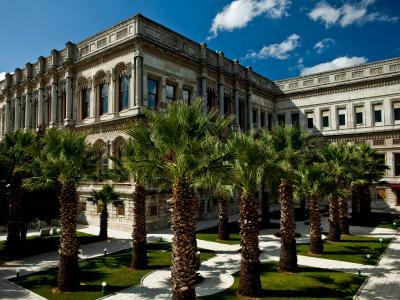 Çırağan Palace Kempinski Istanbul accepts these cards and reserves the right to temporarily hold an amount prior to arrival. Please note that reservations including more than 10 rooms are not available. Please note that daily breakfast is free of charge for 2 children up to 12 years old. one of our rooms was nr 206 and one night was ruined as the adjacent room were smokers and our room 'happily' smoked with them.So did the hallway.We complained the same evening but only the next morning it was solved as the smokers left. Thanks for the bottle of wine. Breakfast overpriced we opted for Sutas. In general we thought the menues were a bit 'old school' and had dinner at the Four Seasons which appealed to us more. Location and vieuw is breathtaking. No caffe machine in the room. The breakfast was a bit expensive for the prices you can get in Istanbul. We kind of started on the wrong foot as there was a mixup with the room, but Mrs Yuksek from the hotel staff resolved the situation in the best way possible and so they get A for effort! We really enjoyed our stay! I think it was the best hotel I ever been to.. the staff were really really great and welcoming..I loved talking to them specially the guy at the door .. I liked him the most though the others were no less great .. but i contacted with this guy every morning .. he was always trying to help or give information about the city or the weather... The location and the view were Amazing... I also loved the design of the room and how always they tidy it when we go out..